There are many signs that the lithium sector is in line for a major supply shock. 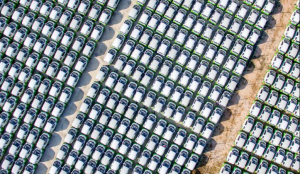 Demand is sharply on the rise, coming from a lithium-battery market hungry for Electric Vehicles (EVs)—including a $50 billion pledge from Volkswagen to embark on an electric car ‘offensive’. The lithium-ion battery market is skyrocketing, with projections to grow as high as $139.36 billion by 2026, with a CAGR of 18.7%. The race to secure lithium supplies goes beyond corporations. With one in every 20 European workers tied to the automotive industry, the European Commission has pledged it will spend billions on lithium-based batteries to catch up with China. Thinking outside the box, a unique project development strategy and proprietary processing and crystallization technologies from Standard Lithium (TSX.V:SLL) (OTC:STLHF) could be an answer to bridging some of the supply gap. On the table is a fast track to domestic production that piggybacks off the existing infrastructure and investment of massive operating commercial brine assets in the USA. The mining industry is filled with stories of junior mining companies with the promise of amazing projects who never got the financing mix right. A sustainable development strategy and a company’s ability to remain financed to the point where it can begin production, is crucial for any chance of success. Standard Lithium (TSX.V:SLL) (OTC:STLHF) business model is focused on efficient implementation and minimizing risk, by leveraging existing operations infrastructure investments they have kept their burn rate low and by developing and securing strategic partnerships with world leading companies they have mapped a path to non-dilutive project financing. With multiple strategic agreements in place and a recently announced planned joint venture agreement with multi-billion-dollar global specialty chemical company LANXESS (OTC: LNXSF), Standard Lithium (TSX.V:SLL) (OTC:STLHF) has secured access to the billions of gallons of lithium rich brine produced as a by-product of one of the world’s largest bromine producers every year at its flagship project in South Arkansas. The company recently announced an inferred resource of over 3 million metric tonnes of lithium carbonate equivalent. In the 1990s reports suggested the world’s oil reserves could be depleted by 2000. However, small, independent and risk-taking entrepreneurs and investors confronted this challenge with innovation and disruption. This unconventional approach of applying technological innovation launched the U.S. shale revolution – a phenomenon that has boosted the U.S. economy and its global influence. By applying new technologies designed to recover oil from shale rock, these companies dramatically increased oil and gas yields from previously-unexplorable regions. For the U.S., the inventions initiated an Oil and Gas renaissance. A similar opportunity is playing out in the lithium sector. The conventional process to recover lithium from brine requires massive volumes of brine to be pumped from aquifers beneath dry salt lakes in Argentina and Chile into large evaporation ponds. The brine is pumped through a cascade of ponds where it is concentrated through evaporation and impurities or by-products are crystallized and removed. The process is weather dependent and can takes as long as 18 months to complete. It also comes with a huge environmental footprint, low recovery rates (less than 50%) and concerns around depleting precious water resources in regions with fragile ecosystems. Video 2: Lithium Crystallization Process Pilot Plant 1.0 | Standard Lithium Ltd.
Standard Lithium (TSX.V:SLL) (OTC:STLHF) has developed a proprietary rapid lithium recovery process that eliminates the use of evaporation ponds and their environmental footprint, increases recoveries and is the key to unlocking a huge overlooked lithium resource opportunity in the USA. 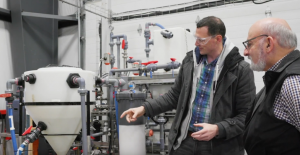 Perhaps one of the biggest technological innovations that Standard Lithium (TSX.V:SLL) (OTC:STLHF) has put forth, is its use of Artificial Intelligence (AI).The company recently announced that it has produced its first quantity of battery quality lithium carbonate (> 99.56% purity) at prototype Lithium Carbonate Crystallisation Pilot Plant. The proprietary technology utilizes high-speed, multi-image photo-microscopy and artificial intelligence computer image recognition for crystal size and shape. Rapid extraction of lithium from brines already being produced presents a unique and potentially large and profitable opportunity for the lithium market. 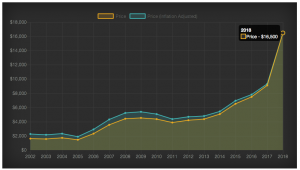 Standard Lithium (TSX.V:SLL) (OTC:STLHF) is thinking outside the box. Instead of pursuing resources in politically and infrastructure challenged locations like South America’s “Lithium Triangle”, the company has created a major shortcut. Typically the largest hurdle that a junior company the size of Standard Lithium (TSX.V:SLL) (OTC:STLHF) will fail to clear is commercial financing. Getting to the point of commercial production can become an insurmountable task. Companies end up burying themselves in debt, or watering down the stock. However, Standard Lithium (TSX.V:SLL) (OTC:STLHF) seems to have this issue addressed ahead of time—through a planned JV with multi-billion-dollar German chemical producer LANXESS (OTC:LNXSF) who has announced their cooperation on this industry disrupting operation. Unlike the herd of junior mining companies that have sought lithium in remote “salars” in places like Argentina and Chile, Standard Lithium (TSX.V:SLL) (OTC:STLHF) has done something very different. The company has secured assets already capable of producing commercial volumes (385,000 barrels per day/122 million barrels per year) of brine, and already known to have rich lithium content within business-friendly jurisdictions inside the United States. Global specialty chemical company LANXESS’s recently announced planned joint venture with Standard Lithium, if proven successful, could become the disruptive lithium game changer to bridge the looming supply gap on the horizon. The two hope to commercially produce, market and sell battery-grade products extracted from the ample brines with a so-far untapped lithium potential. Standard Lithium (TSX.V:SLL) (OTC:STLHF) proprietary technologies are key to the project’s success, while its partner provides the crucial brine supply and potential commercial project financing. 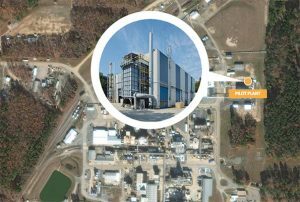 Standard Lithium (TSX.V:SLL) (OTC:STLHF) will build and deploy a demonstration plant that utilizes its proprietary rapid lithium extraction process at one of LANXESS’ plants in southern Arkansas . Upon proof of concept, LANXESS is also prepared to fund the joint venture to commercially develop the future project. Now that the first phase of the southern Arkansas project has an announced inferred resource of 3,086,000 tonnes LCE attached to it, the push to demonstrate the company’s technology is going to be a key milestone for its shareholders. Samples from 24 of the site’s brine production wells yielded between 53-292 mg/L concentration, with a conservative average concentration being pegged at 165 mg/L. At the site, they’re capable of producing 385,000 barrels of brine produced every day. That’s over 122 million barrels per year (or more than 5 billion gallons). The price paid for battery quality lithium materials have increased significantly since 2011, reaching $16,500 per tonne in 2018, it’s apparent that getting into production as fast as possible is incredibly important—Standard Lithium (TSX.V:SLL) (OTC:STLHF) with its innovative extraction and crystallisation technologies and world class partners, has a great chance of being the next lithium producer in the United States. The only way that any company could gain access to these oceans of brine, is through a strategic partnership, such as the one that Standard Lithium (TSX.V:SLL) (OTC:STLHF) signed with LANXESS. It simply would be impossible to put together a land package of this size in Arkansas, like Standard Lithium (TSX.V:SLL) (OTC:STLHF) has secured. Video 3: Standard Lithium President & COO Dr. Andy Robinson highlights the companies novel approach of applying well-understood technologies in new ways to unlock the lithium resource in Southern Arkansas. With a project in one of the world’s best jurisdictions to operate, access to the extensive infrastructure of three operating chemical plants, power, water, low-cost chemical reagents, and a highly skilled workforce, Standard Lithium (TSX.V:SLL) (OTC:STLHF) is an example of how one innovative developer plans to fast-track production of a new domestic supply of lithium. 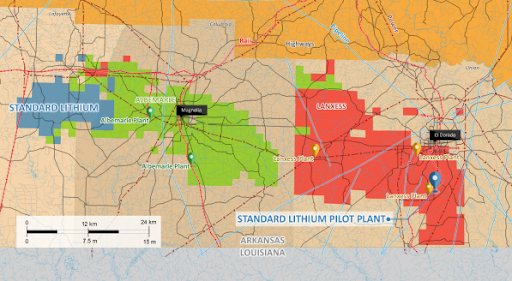 Standard Lithium is also pursuing the resource development of 30,000 acres of separate brine leases located in southwest Arkansas. The lease area is well characterized with already 256 historic exploration and production wells, along with 200 miles of 2d seismic data. A National Instrument 43-101 resource assessment is projected to be announced in Q1 2019. 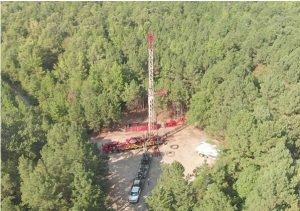 Through additional agreements with independent oil and gas producers Standard Lithium (TSX.V:SLL) (OTC:STLHF) has access to open, unused Smackover wells in and immediately adjacent to the project from which to gather new, high-quality lithium brine samples from the key brine production zones in the Smackover Formation. A sampling program conducted in Q3 2018 yielded lithium grades ranging from 347- 461 mg/L. Standard Lithium (TSX.V:SLL) (OTC:STLHF) has been granted access to existing infrastructure on LANXESS’ El Dorado site, which currently processes several tens of million of liters of brine every day. The site already currently employs hundreds of employees , who are already in place and living in proximity to their work—saving any new operation from having to setup camps or other accommodations. LANXESS is one of the world’s leading manufacturers of bromine, bromine precursors and brominated flame retardants. Bromine and bromine-based intermediates serve as building blocks for the production of highly complex molecules. They are used in many applications, including flame retardants, agrochemicals, pharmaceuticals, fine chemicals, butyl rubber, polymers and biocides. Due to the scope of LANXESS’ current operations, Standard Lithium (TSX.V:SLL) (OTC:STLHF) potentially gains a significant advantage in terms of negotiation, especially for key inputs that could normally become cost prohibitive if not skillfully acquired—for example: power, water, chemical reagents etc. With an already established mega-partner at the table, Standard Lithium (TSX.V:SLL) (OTC:STLHF) will undoubtedly have advantages that normally wouldn’t exist for a junior player that’s new on the scene. However, through LANXESS’ economic cache, the joint venture has an opportunity to become even more favorable in terms of economies of scale. Standard Lithium (TSX.V:SLL) (OTC:STLHF) has been given a massive head start, thanks to the world-class partners at LANXESS. An early investment of $3 million paid by the company to secure access to LANXESS south Arkansas facilities is starting to look like one of the best investments ever made in the lithium space. Together, the planned partnership is looking at mid 2020 as the timing for a feasibility study, and ultimately a decision on whether to proceed with commercial production. Cutting down the development time has been a stroke of genius for the company, having already begun checking off major items on the checklist in the lead up. Putting together a project of this size requires an asset, permits, infrastructure, workforce, power, reagents and more. Much of this legwork has already been taken care of through the strategic partnership. While the development time is set to be far more swift than conventional lithium projects, the actual time to produce lithium once the switch has been turned on won’t add much to the wait neither. Standard Lithium (TSX.V:SLL) (OTC:STLHF) breakthrough rapid lithium extraction process reduces the recovery time of extracting lithium from brine from the current industry method that takes years to as little as several hours. All of the majors in the lithium space are clamoring to increase their production in order to close the supply gap that all experts are predicting in the space.Standard Lithium (TSX.V:SLL) (OTC:STLHF) is on schedule to make a run to become a major lithium producer in the coming years. Albemarle Corporation is the current undisputed leader in lithium carbonate production—lithium produced in evaporation ponds. However, not all of the lithium giant’s business revolves around lithium, as it also produces other chemicals including bromine. 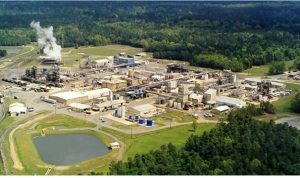 Based out of Magnolia, Arkansas, Albemarle has its own bromine plant that’s near the LANXESS/Standard Lithium lithium project, and produces brines from the same Smackover Formation. Albemarle has already pilot tested the potential for producing lithium at their Magnolia operations and it was one of the key reasons for acquiring Rockwood in 2014. Newly IPO’d Livent Corporation is a pure-play lithium investment spun out from FMC Corp. While producing significantly less than Albemarle, Livent’s current production is 21,000 tons per year. Upon proof-of-concept, Standard Lithium with its partners LANXESS have the potential to build a project that could rival those numbers from waste water/brines from chemical plants and infrastructure already in existence in the geo-politically safe state of Arkansas, USA..
Chilean company SQM has produces lithium, as well as several other products in its brine ponds for decades, including industrial iodine, fertilizers, and other industrial chemicals. Between now and 2021, the company intends to more than double its lithium production from 70,000 to 180,000 tons by 2021. 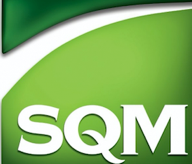 In order to reach its 2021 production goals, SQM may need to think outside the box for solutions such as the technological developments put forth by Standard Lithium, should the Arkansas project be proven commercially viable. Likely the next North American lithium mine, Nemaska Lithium’s Whabouchi Mine (and Shawinigan Electrochemical Plant) is expected to be completed and producing by the second half of 2020. According to their feasibility study, Nemaska’s capex on the project is approximately $875 million—of which $272.4 million has already been spent. In comparison, the Smackover Project from Standard Lithium Much of the expenses are already taken care of, through the infrastructure in place by LANXESS. Given that it is already partnered with a multi-billion-dollar company, Standard Lithium (TSX.V:SLL) (OTC:STLHF) won’t likely need to raise the massive amounts of capital that Nemaska has done in the lead-up, nor wait as long to complete. From its exploration phase to completion, the Whabouchi project has taken well over a decade to come to fruition. Standard Lithium may have found the ultimate shortcut to lithium production through its technology. None of Standard Lithium’s (TSX.V:SLL) (OTC:STLHF) goals could be achieved without a team that knows what it’s doing. Crucial to the company’s success is its leadership with proven success in the lithium space. 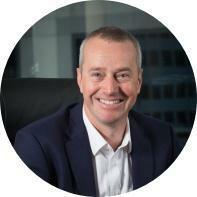 The company is led by a pioneer in the rapidly evolving lithium space, CEO Robert Mintak, has a global network of industry contacts. 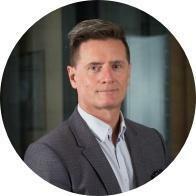 He has been active in the lithium sector for the past decade and has led numerous exploration and development programs and has been at the forefront of disruptive modern extraction processing technologies. He was recognized as the CEO of the Top Mining Companies in the TSX Venture 50 in both 2016 and 2108. The CEO is flanked by several luminaries in the lithium and mining space. President & COO, Dr. Andy Robinson, has developed innovative exploration, sampling, assessment and processing techniques for conventional and unconventional lithium brine deposits, and led the first NI 43-101 Inferred Resource Assessment for a lithium brine deposit in North America. 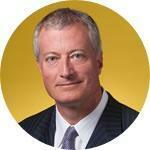 Non-executive Chairman, Robert (Bob) Cross co-founded multi-billion-dollar gold company, B2Gold (TSE: BTO). He was also co-founder and Chairman of Bankers Petroleum Ltd and Petrodorado Energy Ltd. An engineer with 25 years of experience as a financier and company builder in the mining and oil & gas sectors, he and brings years of experience and knowledge to the team. 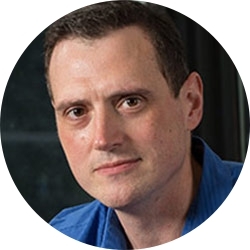 Scientific Advisor, Prof. Jason Hein is a recognized global expert on the development and commercial application of AI and robotics on reaction optimization. Jason’s IP protected work with Standard Lithium integrates machine learning and newly developed robotic tools to visualize and control reactions as they happen in real time. This revolutionary work’s outcome is a fractional crystallisation process that produces battery grade lithium salts from a variety of brine mixtures. With its multi-billion-dollar German chemical producer partners LANXESS,Standard Lithium (TSX.V:SLL) (OTC:STLHF) has secured what looks to be a source of financing for commercial productionLANXESS already generates revenue of over 9 billion euros annually. The two companies are already announced a planned joint venture, with a commercial financing commitment. Through a strategic partnership agreements Standard Lithium (TSX.V:SLL) (OTC:STLHF) has secured brines and a network of crucial infrastructure, including pipelines and a 500+ employee base. The partnership with LANXESS also provides a significant boost in negotiation strength, for such costs as power, water, and chemical reagents.Having a major partner at the table makes negotiating down costs a much easier task. While many lithium projects take several years to reach production, Standard Lithium (TSX.V:SLL) (OTC:STLHF) shaved months, if not years off of its development time through technology and savvy partnerships A decision on the commercial viability of the processing plant should be made by the end of 2020. By comparison, Nemaska Lithium has taken over 10 years, and will have spent nearly a billion to develop its Whabouchi Mine—Standard Lithium (TSX.V:SLL) (OTC:STLHF) will have spent a mere fraction of the time and money to reach final investment decision for commercial production in southern Arkansas. The entire Standard Lithium (TSX.V:SLL) (OTC:STLHF) team is built top to bottom with company builders, tech developers, and connected lithium industry insiders. Led by CEO Robert Mintak, President/COO Dr. Andy Robinson, Non-Executive Chairman, Robert Cross, and Scientific Advisor Jason Hein, Standard is built to succeed in a competitive lithium space. 2) The Article was issued on behalf of a third party, Standard Lithium Ltd. Market Jar Media Inc. has or expects to receive the following amounts from Native Ads Inc. in the amount of two hundred and two thousand, five hundred and sixteen canadian dollars and sixty-one cents for 64 campaign days (46 business days). Get Updates For Standard Lithium Ltd.